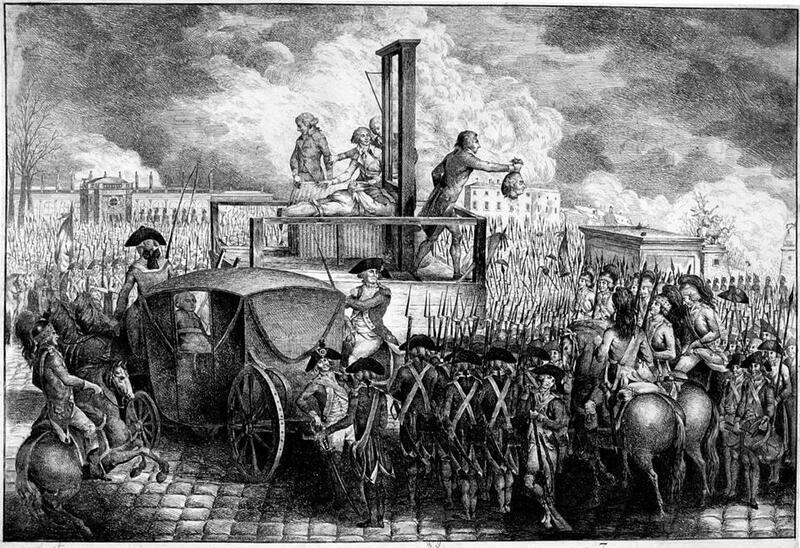 An engraving showing the execution of Louis XVI in 1793, with the king’s head being displayed to the crowd. Since August, the Islamic State in Iraq and Syria, known as ISIS, has executed a number of Western hostages, including American journalists James Foley and Steven Sotloff. The group, known for its brutality, has carried out the killings in the most attention-grabbing way possible: by beheading the prisoners and posting video of the act to social media. If beheadings in 2014 seem shocking in their cruelty and theater, that is exactly the point, suggests anthropologist Frances Larson. Larson has researched the meaning of beheadings for a new book, “Severed: A History of Heads Lost and Heads Found.” The book addresses the political and cultural meaning of human heads—which she says are, upsettingly, “simultaneously a person and a thing”—and how, throughout history, they have been displayed as tokens of power and even collected. Though “Severed” was finished before the ISIS beheadings began, it is, unfortunately, newly relevant now. “Decapitation is the ultimate tyranny,” she writes. Larson spoke to Ideas by phone and e-mail from her home in Oxford, England. This interview has been condensed and edited. IDEAS: You write about political decapitation frequently in your book. Is there a particular kind of political power in decapitation, as opposed to other kinds of murder? LARSON: Decapitation is an inherently visual form of murder, because it produces a trophy that stands as proof of conquest. It creates something that is made to be displayed, and it presupposes an audience to watch. It also requires huge force to decapitate someone. It is a brutal show of power. IDEAS: What do you think ISIS is communicating with these beheadings? LARSON: I think they are trying to draw us into their narrative....I think they know...we cannot resist it despite all our misgivings and discomfort and horror at these atrocities. It still makes front page news, and they, of course, are playing on that....We no longer see these graphic mutilations, which used to be a part of life. Crowds did flock to see [beheadings], but now the thought of one man killing another man, holding a knife to his throat, is frighteningly intimate and shocking. Death isn’t like that to us in our society. I think it’s a very visual demonstration, like a play, it’s a staging of power. IDEAS: What do you think about how this tactic has been treated on social media? LARSON: In the book I talk about the Iraq War beheadings 10 years ago; these recent beheadings hadn’t happened yet. And I think it is quite interesting, because there is a change. Ten years ago, we weren’t as connected as we are now in terms of social media interfaces like Twitter, in which you are actually in a dialogue with someone minute by minute, instead of blogging or e-mailing, which was the situation 10 years ago. I think that has made a difference, because now the members of the crowd can talk to each other. And when James Foley was killed, there was a quite successful boycott of the imagery...when they started the #ISISmediablackout hashtag, and people actually started tweeting things like “pour water on their flame” and “take the heat out”—you know, don’t show these images....In the past, companies like Twitter and Facebook have tried not to intervene....This was different, because they actually started responding, and I think that is a real sign of human decency coming back at the murderers and the perpetrators. It’s a step towards trying not to be part of the show. IDEAS: How does that fit into larger recent social shifts in how we treat the human head? [But] I think that some of the stories I researched for the book could happen again. If there was another world war, who knows what desperate hatreds would emerge again, and what activities—like taking the skulls of the enemy as trophies, which happened during the Second World War—could be overlooked by people supporting their troops fighting for their lives in terrible conditions. We like to think that we can take the moral high ground, but writing this book has taught me to be wary of assuming we are above certain activities, or incapable of undertaking them. IDEAS: The book is a chronicle of the obsession humans have with heads as an object. Why do you think heads hold such power? LARSON: So many things happen in our heads: seeing, smelling, hearing, tasting, speaking, breathing, laughing, crying. Our face is the most expressive part of our body. And of course our head holds our brain, which is recognized as the seat of consciousness and the center of the nervous system. Our heads connect our inner selves to the outer world more intensely than any other part of us....[It’s] the only body part that can publicly confirm a person’s death. IDEAS: You talk about how Westerners tend to believe we are our heads: They seem tied to their owner’s essential personhood. Is that inevitable, since our heads contain our faces? LARSON: I don’t think it’s inevitable. We “feel” things much more in our guts, after all. The human gut is packed full of neurons which control some of our emotional responses....As soon as you start to think about it, the notion that we are “in” our heads breaks down. 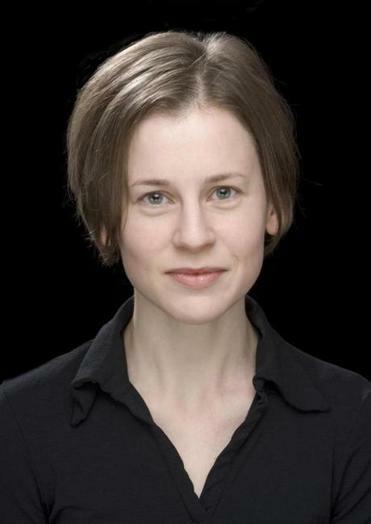 Bess Lovejoy is the author of “Rest in Pieces: The Curious Fates of Famous Corpses.” Follow her on Twitter @bglovejoy.